We are ready with a new chapter of our little “Unisport look of” story and this time round we focus on the Spanish capital and the King Club, Real Madrid. Real Madrid have for decades now housed some of the very greatest footballers on the planet and that brings with it a responsibility. A responsibility that requires the right gear and tools for the job. When Cristiano Ronaldo, Gareth Bale, Sergio Ramos and all the other superstars from Real Madrid take to the training ground, it is important that they are kept comfortable. It is therefore no coincidence that Real Madrid have turned to the German brand adidas for sponsorship. The sportswear giants are known for their top drawer gear, with a stylish and classic design. 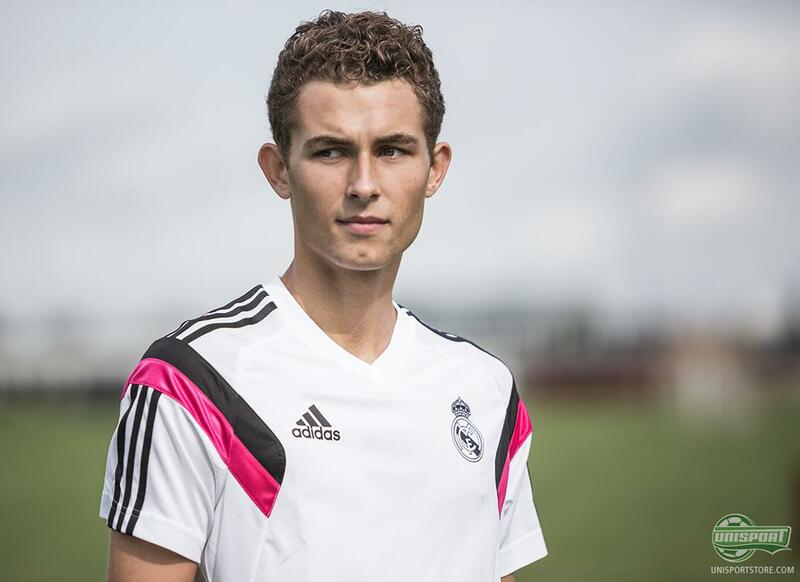 Dress like all the Real Madrid stars and train in style. Find the products here. 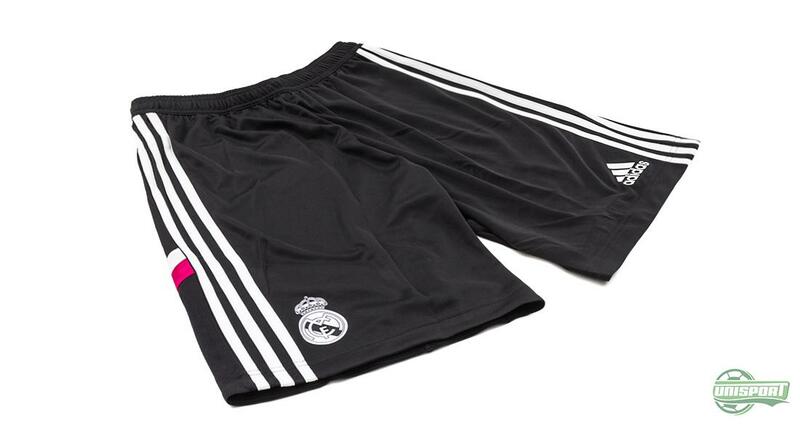 And that is exactly what they have produced for Los Galacticos, where the training clothes, apart from the classic white and black colours, is made with a twist of pink. The colour pink has inspired much of Real Madrid’s gear this season, with their home kit also having a little pink touch on it and the away-kit being completely pink. 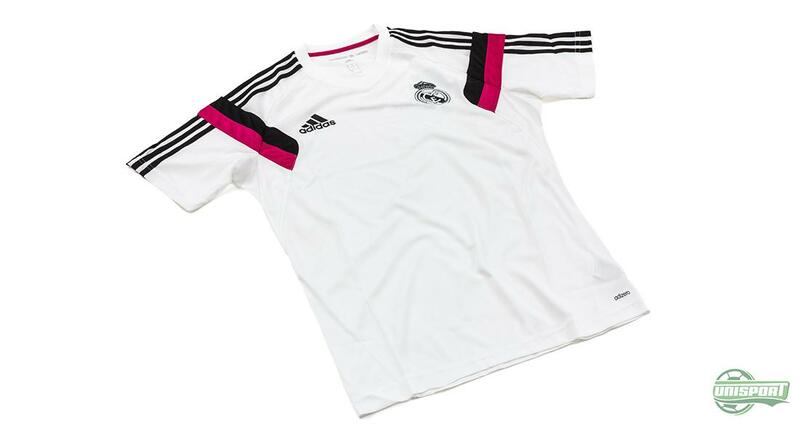 You can find Real Madrid’s training t-shirt right here – just €38. Don’t forget the shorts. 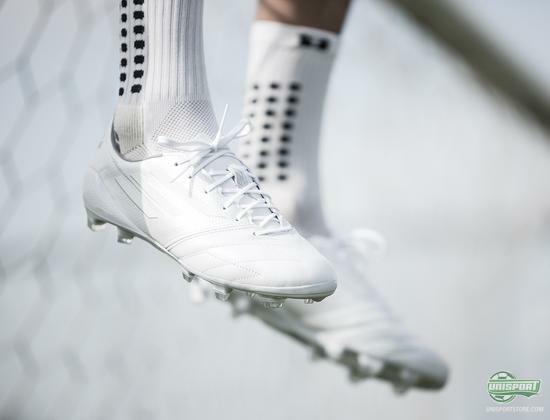 You can find them right here – they cost 33 euro. Apart from the clothes, which is naturally produced from adidas’ ClimaCool technology that diverts sweat and moisture away from the skin and clothes, adidas have other top products to offer. 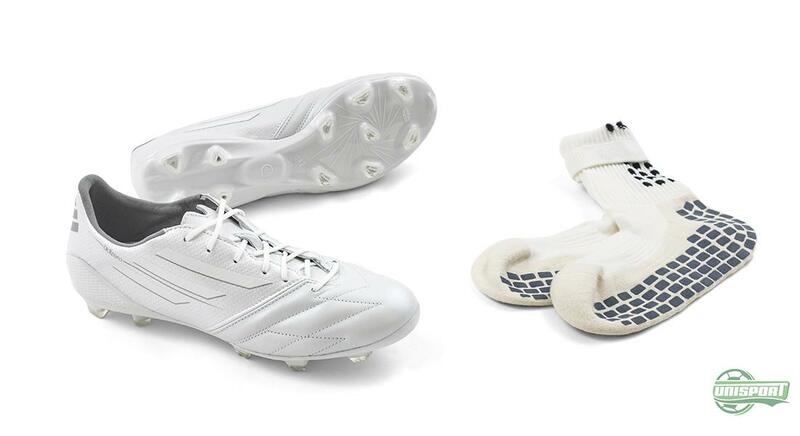 And if you want to complete the royal and stylishly clean look, then a pair of whiteouted F50 Adizero boot, which are made with an upper of lush leather, would do the trick nicely. You could top the whole thing off with a pair of Trusox, now that you’re at it. Complete your Real Madrid look with Adizero and Trusox here. When adidas first take responsibility for a klubs kits and training gear, they don’t make any compromises. With this Real Madrid training kit you get to dress like all the massive stars do, when they report to Real Madrid City for training. So the question is: What are you waiting for?